Congratulations - you've just found the elusive park-like, wooded double lot with a shop - inside Cape city limits and just off Lexington in the Alma Schrader Elementary district and affordably priced! 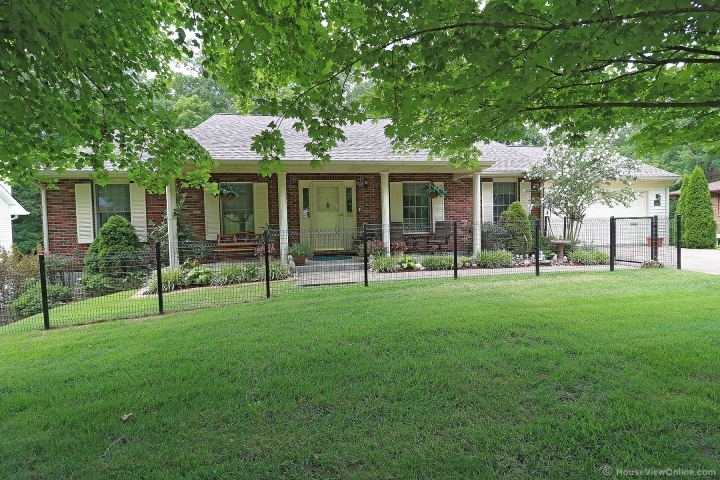 This well-maintained ranch sits on approximately 2/3 acre. The care shows - heat and A/C are two years old, water heater four years old, roof replaced five years ago. You'll love the heated and cooled sun porch to take in the view, and the open deck for cooking out and entertaining. The finished walkout basement includes a Mother-in-law suite in LL with family room, full bath and kitchenette. Under the oversized two-car garage is a shop area with double-door access, concrete floor, walls and ceiling. Now that you've found it, come make it yours.